There are numerous ways of crafting fabric out of thread. Sometimes fabric (and other thread manipulations) can be filed under the category of Art. It was a sweet break from my work with thread and fabric to run around the corner and see a whole exhibit of work with thread and fabric. Thread Lines is a group art exhibition at The Drawing Center in SoHo, NYC, that features sixteen artists who sew, knit, or weave. Also presented are a performance art piece by Anne Wilson (I've seen the piece in progress but not the piece in action; it's "durational". Read about it here.) 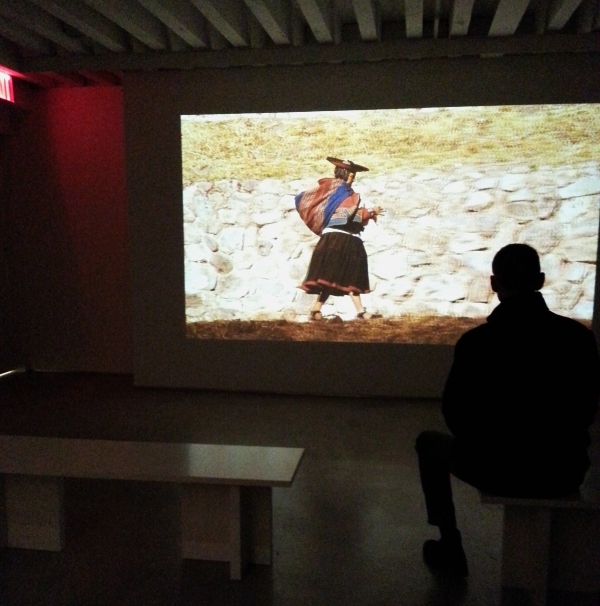 and Kimsooja’s Thread Routes - Chapter I, first in a series of six films on indigenous textile construction. Here are my favorites from the show. 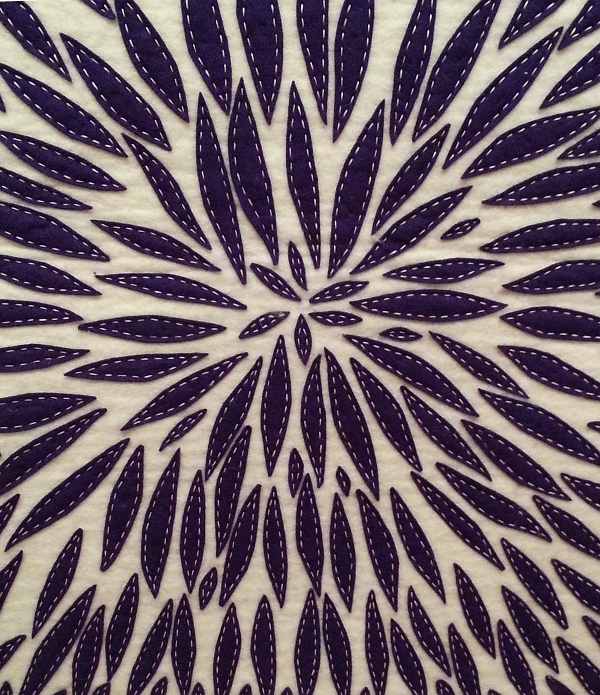 Untitled, 2013 by William J. O'Brien is felt on felt applique. This is a detail of one of six parts, each 23 7/8 x 19 3/4 inches. A Peruvian woman walks and hand knits from Kimsooja's Thread Routes - Chapter 1, 2010. According to the gallery's website the film was only going to be shown from September 18 through October 2. According to the time/date on my photo, I saw it on October 3rd! If you love watching men and women spin and hand knit with multiple needles and Machu Picchu as a backdrop as much as I do, you'll love this! But call the Drawing Center first, as the film may have really closed by now. 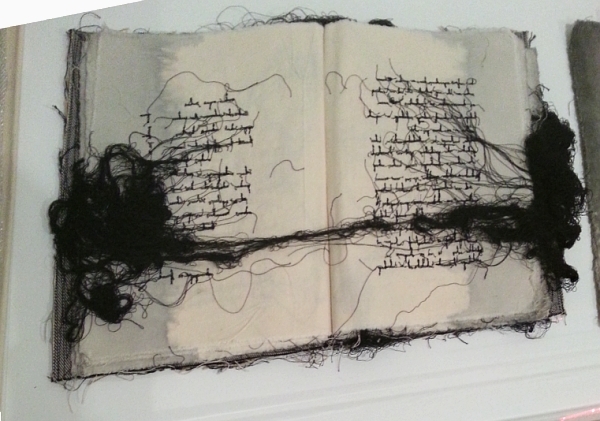 One of the late Maria Lai's embroidered books, her embroidery on canvas resembles handwriting. This picture cannot capture the beauty of Lai's books. Other artists represented are Louise Bourgeois, Sheila Hicks, Jessica Rankin, Robert Otto Epstein, and more. The Drawing Center is located 35 Wooster Street, New York NY 10013. Admission is $5.00 for adults. Thread Lines runs through December 14, 2014.